Hi friends! We’re coming up QUICK on Thanksgiving, one of my favorite times of the year! And while I love cooking a nice holiday ham and all the fixings I have to be honest, I don’t love slaving away all day in the kitchen. I’m always looking for easy shortcuts that still pack the same flavor punch of our holiday favorites. 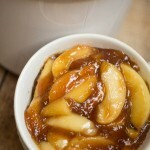 And that’s just what I’ve done here, with these Easy Crock Pot Fried Apples! I love fried apples. And on any given day, they’re way easier to make than a traditional apple pie but on Thanksgiving, you may just not have the bandwidth to make them in the traditional way. But here we have a MAJOR shortcut! Start with bagged, sliced apples – yes WITH the peels on them! Opt for a thin skinned red apple, like gala, which are common with sliced, bagged apples. Toss them in a little cornstarch, then a cinnamon-sugar blend – pop in the crock pot and top with melted butter, vanilla and lemon juice. Then let those babies cook on high for a few hours and BOOM! You’re in fried apple Heaven with just a few minutes of effort! HOLIDAY SHORTCUT: Thanks to one of our readers, Sarah, after you add the cinnamon sugar mixture to the Ziploc, you can pop those apples in the fridge – pre-holiday prep style! Then the day you’re ready to make them, simply pour the apples into the crock pot, top with butter, vanilla and lemon juice and cook as usual. Great shortcut, Sarah! 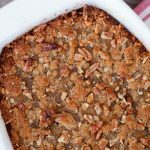 These Easy Crock Pot Fried Apples are a perfect, effortless Thanksgiving side dish or an everyday treat! You'll love how easy they are to whip up! Turn crock pot on to hot setting. Add bagged apples and 2 tbsp cornstarch to Ziploc bag and toss until apples are covered. In a small bowl, combine granulated sugar, brown sugar and cinnamon. Add sugar-cinnamon mixture to Ziploc bag and toss until apples are covered. Transfer apples to crock pot. Top apples melted butter, vanilla and lemon juice and stir to combine. Cook on high for 2 hours or until apples are tender without falling apart. 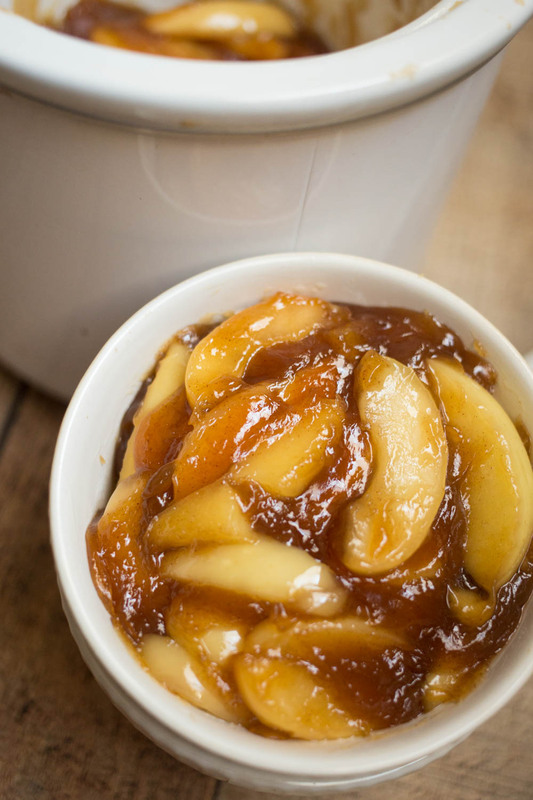 And in just a couple of hours you have a delicious side of Easy Crock Pot Fried Apples that will complement ANY meal, not just Thanksgiving or Christmas! What do you think? I think you should give these a try. Looking for more Thanksgiving Sides inspiration? Check out this collection of delicious dishes! Wow, this recipe looks delicious! I can’t wait to try this out as a dessert this holiday season! 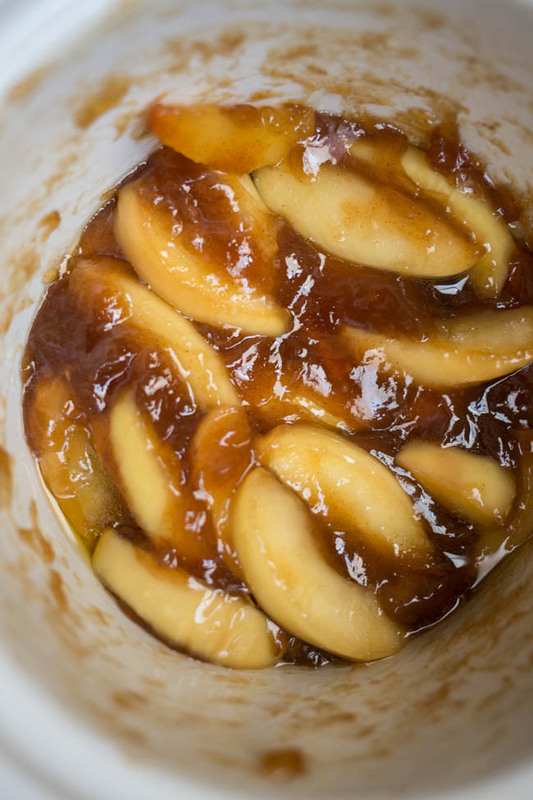 Do you know about how many cups of apples this recipe takes? Hi Shauna, I didn’t measure after but I would say about 3. Hope that helps! In the pic above, the apples are wrapped in something. What are they wrapped in? Hi Jenny, in the images in the post, the apples are in the crock pot or in a bowl with the “sauce” that this recipe creates. Hope that helps! Hi Jessica, it depends on how much people serve themselves. If you’re thinking a ladle full for each, I would say this serves 6. Hope that helps! Yum! About how many does this serve? Thanks! Hi Sarah! it depends on how much people serve themselves. If you’re thinking a ladle full for each, I would say this serves 6. Hope that helps! Approximately how many people does this serve? I would like to make this for Thanksgiving and I’ll be feeding about 20 people. Hi Keisha! It depends on how many people you’ll be making them for. If you’re thinking a ladle full for each, I would say this serves 6. Hope that helps! Can I make this a day ahead of time? How does it hold up in the fridge? 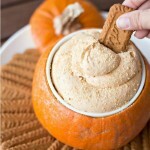 Hi Kristin – I haven’t tried refrigerating as both times I made them they were all gobbled up! I would imagine you could, but I would definitely reheat a bit before serving. These are great. A coworker made them for work and we had some leftover so we just kept them in the crockpot in the fridge overnight and heated it on low and they we’re still delicious. I am making them today for Christmas morning and I threw everything in a bag, shook it up, and put it in the fridge (coworker did this the night before as well). I bought a bag of granola to go on top of these as well. Merry Christmas and Happy Holidays! Oh that’s such a great idea, Sarah! 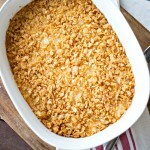 I love the everything in a bag idea AND the granola – yum! Do you peel and slice apples before putting the corn starch? Hi Maureen, I actually purchased pre-sliced gala apples for the ease of it all! In that case I left the peel on since gala apple peels are particularly thin. If you are starting with whole apples and if they have a thicker skin you’ll want to peel and slice. Hope that helps! Sarah, I was wondering if you could prepare the apple and spices and freeze until needed. Of course, I know you would have to defrost them before cooking, but thought it might be easier to do a week or so earlier to help with the preplanning for the holiday dinner. Hi Nancy, I’m sure you could! I haven’t tried it, but as long as you defrosted them I’m sure they would turn out the same. Thanks! I’ve been using this recipe for about a year now. My family loves these apples! 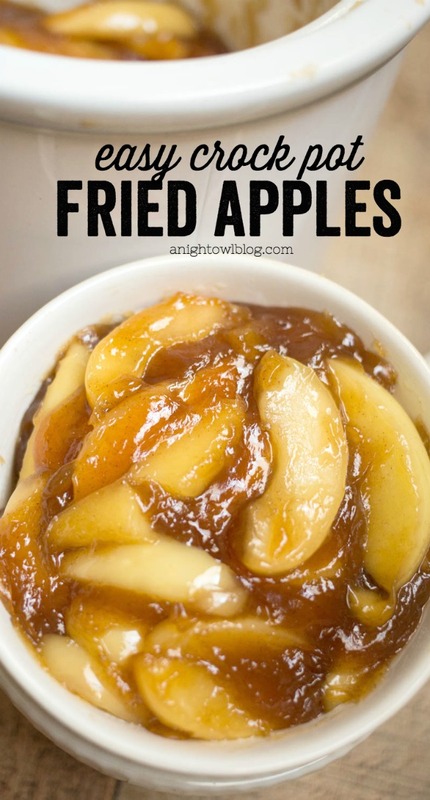 It’s so easy to make & they taste so much like Cracker Barrel’s fried apples. 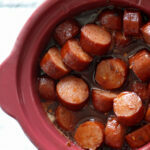 I mix everything directly in the crockpot to avoid using a bag. Great tip, Tara! Thank you for sharing!